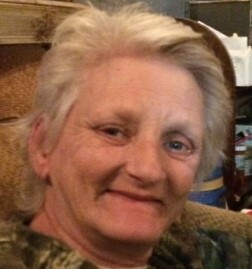 Cindy Joyce Willoughby, 60, of Rocky Point, passed away peacefully on Sunday, January 20, 2019, at home surrounded by her loving family. She was born on February 16, 1958, in Upland, Pennsylvania to the late William S. and Ilah Mae Louise (Carroll) Bailey. Cindy is survived by her loving husband, Daniel Willoughby; her son, Lewis Willoughby; and her step-son, Daniel Willoughby, Jr.
She is also survived by her brother, James Bailey; her sisters, Louise Boseman, Elizabeth Funk, Debra Funk, Kathy Winnemore; and her 5 grandchildren; 1 great grandchild; and numerous nieces, nephews and cousins. In addition to her parents, Cindy was also preceded in death by her daughter, Mary Osbourne; her brother, William S. Bailey, Jr.; and her sisters, Williametta Graham, Janice Dame, Bonnie Long, and Margaretta Smiley. The family suggests donations be made to directly to the funeral home to help with funeral expenses. You may share your memories and send condolences to the family by selecting “tribute wall” above.